Last Christmas, my Grandmother got my daughter a dollhouse. Since then it has become apparent that the dollhouse is more for me rather than her. And lately I've been on some kind of dollhouse kick. I've been making and buying all kinds of things for it. 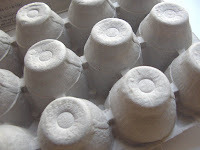 One of the items I made recently was the egg carton bowls. 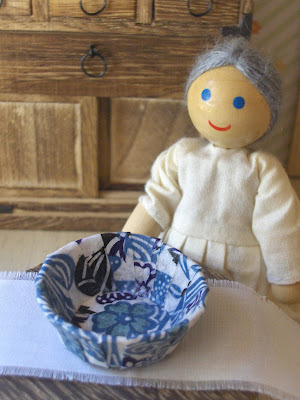 Directions below on how to make the bowls. Starting with this part of the egg cartons, cut one of the sections off. Cut the carton down so it resembles a bowl shape, it should look something like this. 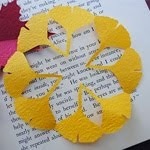 Cut the paper into small strips and glue it to the bowl with the decoupage glue(refer to picture). 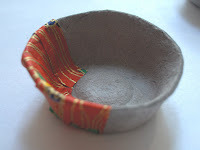 Once the entire bowl is covered with paper, coat it twice with the decoupage medium. Let Dry. Done. Oh how fun! 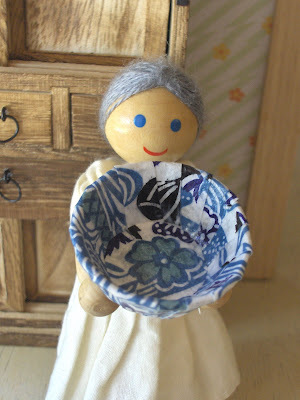 I might make a bunch of these and line them up on my windowsill. I'll be linking to this project. Happy weekend and as usual, tks a million for sharing..I love the idea of recycling anything, rather than just buying them. Very cute!! 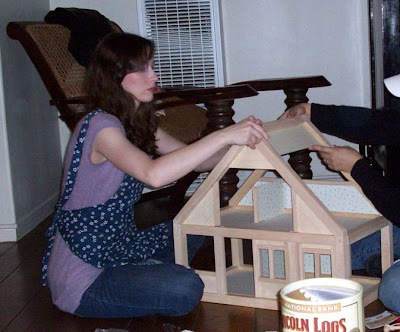 What brand is that dollhouse; it looks quite sturdy. 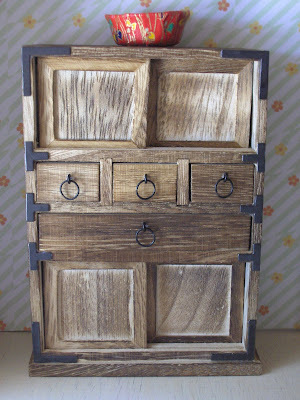 And that miniature traditionally Tansu is great. Especially detail is nice. I must go to daiso tomorrow. Love the bowl idea! 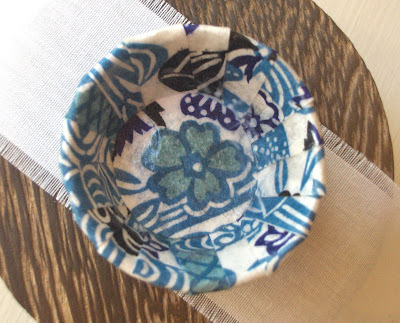 Also, your choice is washi paper is great--it makes the bowl look like a traditional blue and white Japanese bowl! oh, these are precious! my favorite toys as a little girl, were my hotwheels and my barbies w/ their homemade dollhouse! The dollhouse is made by Plan Toys. The blue bowl really looks like 1 of mine :-) Great use of the egg carton. How cute, and so very simple! I have *always* wanted a doll house! My family keeps saying to just get one if I want one LOL and seeing all the minis and others houses out there is enough to make me run out and buy one today. Is that cute are what ahhh i want to come over and play . 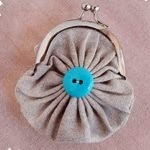 I love making things out of egg cartons.They have some cute pincushion out if them too. i was in the rijksmuseum before in amsterdam, and there were lots of dollhouses dating for hundreds of years, fully furnished with miniatures. i almost didn't want to leave. whew. the bowls look cute! also read your previous postings, really nice and informative. Very cute! 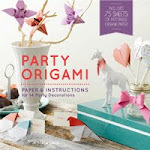 And I love the washi paper!!! Such a beautiful bowl! I'm storing up all of these miniature ideas for the coming cold months when our dollhouse gets much more use. Just like you, I'm the most excited about playing with it! Don't forget to check out the rules and pass the love along! Aw that is such a good idea! Thanks!! Oh I love to play in my (I mean my daughter's) dollhouse! I love this! My daughter's dollhouse was more for me too. The only thing she's really played with it is "real estate". I wish I was kidding about that. i love dollhouses! great idea for making bowls!